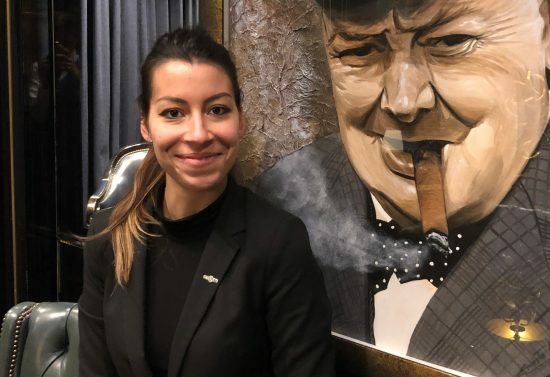 I started to be attracted by cigars the very first time I enter the humidor at The Wellesley, I simply loved it and since then I decided to develop my knowledge about the world of cigars. It was a Montecristo n.4 during my first cigar training at The Wellesley, I remembered I quiet enjoyed it even if I didn’t know much about cigars. (I didn’t smoke it all). For beginners I always recommend a light flavour cigar small to medium size to be enjoyed in the right amount of time. (medium to full flavour cigar is good as well, like I did). My three favourite cigars are Partagas D.4, Diplomatico n.2 and H.Upmann Connoisseur A. For sure helped me a lot to get better understanding about how cigars are produced and how much hard work there is behind it. I increased my confidence and my knowledge to share with other people.